The Justice Department is dubbing what just went down in this state as the “Largest Health Care Fraud Enforcement Action in Department of Justice History” Although, many states were involved, Michigan had the second most defendants arrested with 32 total, with Florida being first, with 77 arrested. 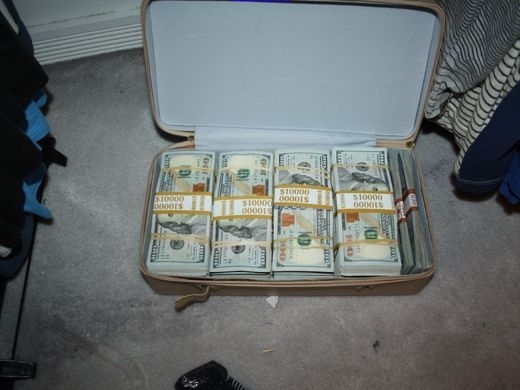 A group of doctors in Detroit have just been busted as the masterminds behind a $1.3 billion dollar fraudulent scheme, leading to the arrests of 412 people overnight, in the largest scam that the United States Department of Justice has ever seen. 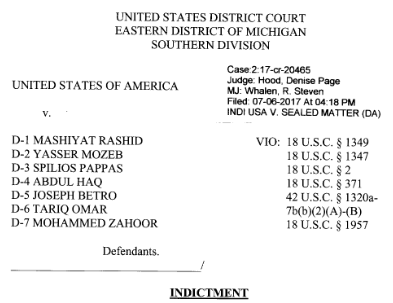 According to Click On Detroit, a local man from West Bloomfield, Michigan “Mashiyat Rashid is accused of being the ring leader in scamming Medicare for $164 million. Rashid had no problem displaying his significant wealth on Facebook, where pictures show him standing in front of a Bentley sedan and a corporate jet. Before the raids, Rashid had a multimillion dollar fortune. The Drug Enforcement Agency’s Tim Plancon issued a warning.“It certainly should be a message to any rogue physician,” Plancon said. “If they think they’re going to get away with it, we’re coming for you.” Rashid is not a doctor, but the doctors named in the case are Joseph Betro, Spilios Pappas, Abdul Haq, Tariz Omar and Mohammad Zahoor. Federal officials indicted suspects a week ago and they’ve already been arraigned. The scam involves a scheme where doctors will write massive quantities of prescriptions for opioids. These drugs never land in the hands of patients however, the doctors will make fraudulent claims to Medicaid and pocket the money. Additionally, the drugs often wind of on the streets as part of a huge back-alley drug operation. The ringleader of the massive Medicare scam profited with an astounding $164 million from the fraud. He had had no qualms about rubbing the American taxpayers’ noses in what he stole from them, frequently bragging about his large piles of cash on social media. Other nauseating pictures show Rashid standing at the NBA finals with his court-side tickets, enjoying a life of opulence he enjoyed while screwing over the American people. Rashid’s name is included in court documents as Feds prepare their case for trial, where other doctors Joseph Betro, Spilios Pappas, Abdul Haq, Tariz Omar and Mohammad Zahoor were busted working directly with Rashid in recent years to make their millions. Trump’s Justice Department isn’t messing around, as the defendants are being brought up on a plethora of federal charges, including five counts of health care fraud and health care fraud conspiracy. 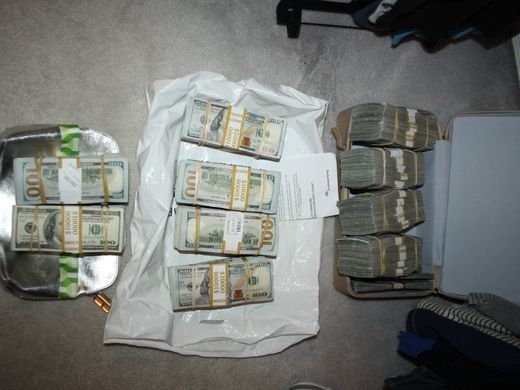 Rashid has additionally been charged with conspiracy to defraud the United States and money laundering, receipt of kickbacks in connection with a federal health care program, and payment of kickbacks in connection with federal health care program. EDITOR’S NOTE: This article was flagged by Facebook via Politifact, upon reviewing their article they never mentioned us directly nor any links to our article. Politifact claimed there’s no source to the ring leaders religion, however, the Detroit News refers to the defendant as a ‘Muslim Businessman’ who is an immigrant from the Middle East. The Detroit News is a credible source and we used them to claim the religion of Mashiyat Rashid. Additionally, our headline implied all defendants were Muslim, and that claim is unsupported. We clarified it was just the ring leader Mashiyat Rashid.